I've been lucky that last year I went out on a few nights out with some "mummy" friends. Getting ready when you have a toddler around can be a nightmare and I've learnt the art of being able to straighten my hair in under 5 minutes and get my make up done in under 15 minutes. This obviously takes longer if Blake decides that he needs my undivided attention throughout the getting ready process. Friday was my sister in laws hen do, and I was lucky in that getting ready was a breeze as i had Stuart to keep Blake entertained. Blake seems to know when I am going out and usually he goes into a full meltdown which involves screaming and crying as he doesn't want me to leave. There have been times when I have had to sneak out before he has noticed. This time however Blake was fine he waved me off and there were no tears. I even had a text from Stuart saying he told Blake that I was out and he responded by clapping and giggling. 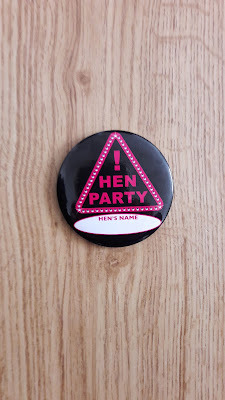 The hen night itself was fun we all enjoyed a buffet meal with lovely company. Me and Kat (the other bridesmaid) dressed up my sister in law (Kim) with a tiara/veil, sash and a badge. 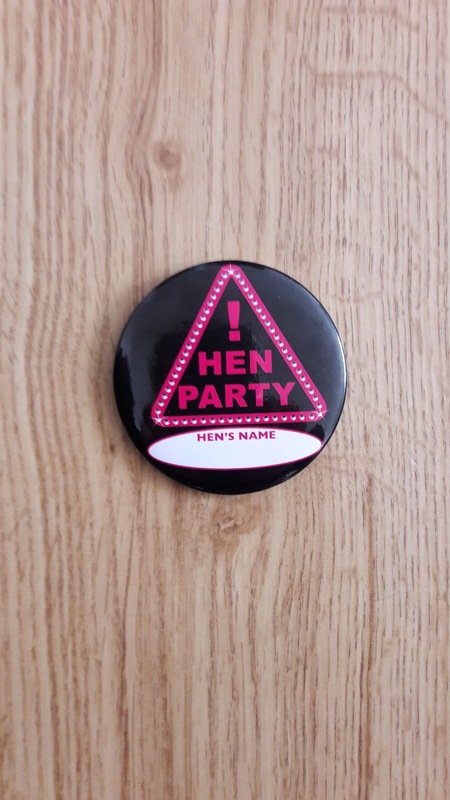 The rest of us wore a badge and we dressed up the table with a Hen night balloon and some table sprinkles as well as ahem willy straws. It was great to celebrate with my sister in law and all the others that were a part of her evening. It's also been great to have some time away from Blake as he has been a little bugger recently with tantrums galore. I'm glad you were able to have a few fun nights out! Breaks like that are definitely needed from time to time. Sounds like a fun night! I'm glad you were able to enjoy yourself out with your sister-in-law and friends and that Blake wasn't upset when you left this time.